Guid mornin! Hoo’s it gaun? A'm daein fine, it's been dunky's since a last saw ye! If you caught the gist of this conversation, then it’s a pretty good guess that you are looking forward to the 2017 New Hampshire Highland Games & Festival at Loon Mountain Resort in Lincoln, NH! The NH Highland Games is by now a grand tradition in Lincoln – incredibly approaching its 42nd year! Over Friday, Saturday and Sunday from September 15-17, 2017, athletics, music, activities, food and more will unite at Loon Mountain in a weekend celebration of Gaelic culture. 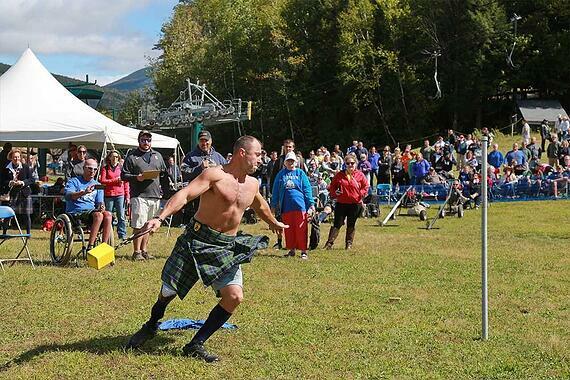 The Loon Mountain Highland Games was born out of a Clan Picnic organized the summer of 1975. Due to the Picnic’s rousing success – and at a ski resort, no less, not a football field as most festivals at the time were – a committee was formed to coordinate and promote an annual NH Scottish Games and Festival to celebrate the dance, music, athletics and customs of the Scottish people. Discounted weekend tickets are available online now for $55 per person. (Discount is for ordering ahead of time and will end August 15, 2017.) Single-day tickets and tickets at the door will also be available. 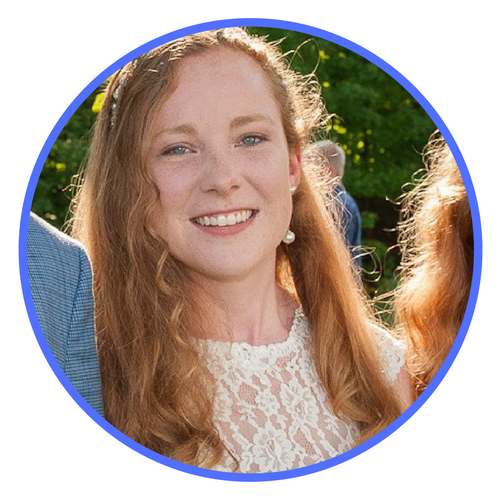 As the NH Highland Games weekend is the most-attended annual event in Lincoln (as well as the largest annual cultural event in New Hampshire), parking and transportation might be thought to pose a problem- but not for the NHSCOT organization! Parking is available at multiple off-site locations throughout Lincoln with regular shuttle buses running from 8:00 am to 6:00 pm daily. And of course, RiverWalk Resort at Loon Mountain is a regular stop along the shuttle route, so our guests can plan to be picked up and dropped off practically at your door! The athletic competitions are the true centerpiece of the weekend. Pure physical strength and coordination are on display as world record holders compete in Professional, Masters and Amateur Divisions for Caber Toss, Hammer Throw, Weight Over Bar, Stone Carry and more! The Scottish Games take place throughout the weekend, so single-day trippers will be able to catch at least one or two of these incredible athletic competitions. Runners (or walkers) of all ages are invited to participate in the annual Kilt Race on Sunday afternoon. The race begins at the fairgrounds and winds for one mile throughout the lower slopes of Loon Mountain. The one requirement: wear your kilt! The Sheep Dog Trials are one of the first activities of the weekend, held each year on Friday morning. Border Collies and other beautiful herding dogs compete to guide small flocks of sheep up and down the hill and around obstacles for the fastest completion times. LISTEN TO MUSIC, ENJOY WORLD-CLASS SCOTTISH DANCING, EAT, DRINK, AND BE MERRY! 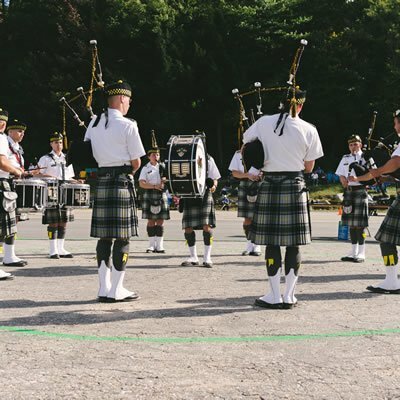 Musical entertainment from a variety of performers, from traditional tunes to bagpiping rock (or more succinctly, “bagrock”), will take place in different locations throughout the weekend and at extra nightly events. A list of 2017 performers is available at the NHSCOT website. 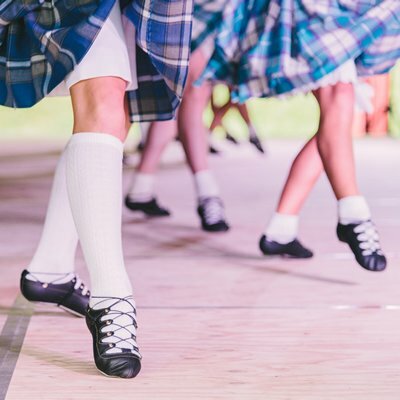 Highland dance competitions will see over 200 performers compete in traditional Scottish dances, like the Highland Fling, on Saturday and Sunday. Children are invited to participate in the weekend Youth Program, involving games and storytelling, and the Passport Program to collect stamps at each venue visited throughout the Games! For years, this weekend has been a cultural celebration that is great fun for adults and for the whole family. We look forward to welcoming you to RiverWalk Resort at Loon Mountain for the 42nd annual NH Highland Games this September 15-17, 2017! Here's tae ye! Lang may yer lum reek. Goodbye for noo!